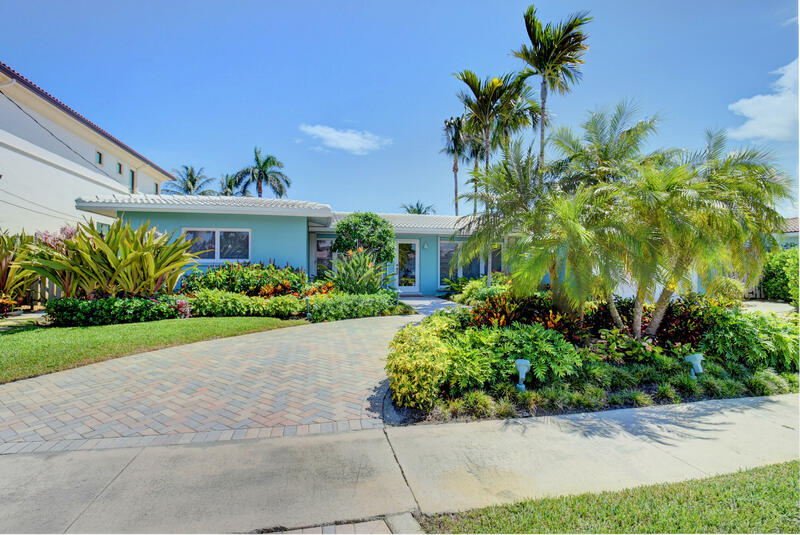 This Boca Harbour home is so pretty and it has been Beautifully updated and meticulously maintained. Features bright Southern Exposure and fabulous Curb Appeal with Lush tropical landscaping and a Circular drive. The Interior features a wide open floorplan, tile floors, Kitchen w/ pretty white cabinets and new Stainless appliances, terrific dining area, large bedrooms and updated baths. Master has terrific water and pool views, great master bath w/ dual sinks and spa tub and Home Bose Music System. The screened pool area is an entertainers dream w/ a terrific covered patio, pass thru window from the kitchen and separate full cabana bath. For the boater, great dockage and just minutes to the Intracoastal. Waterfront: Interior Canal, No Fixed Bridges, Ocean Access, Seawall Yes 80 Ft.